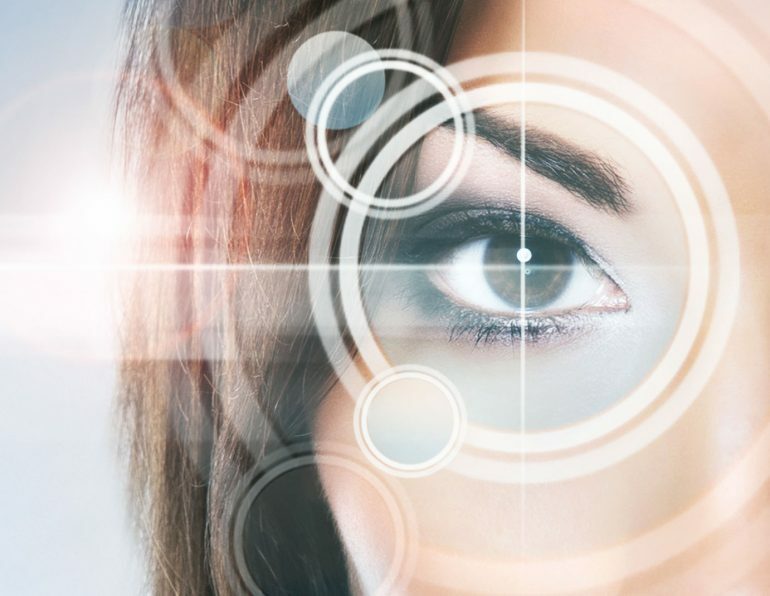 Lens technology, materials, and manufacturing processes have resulted in continued improvements in lens features, vision correction & protection provided to wearers. Different lens manufacturers such as Essilor, Zeiss, Hoya, Rodenstock, Nikon and many others have come up with different options to meet the varying demands of the modern day customer. The earliest known lenses were made of polished crystal, often even quartz. These lenses were popular in Ancient Egypt, Greece and Babylon. In fact, the Egyptians were even known to use water filled spherical glasses as lenses. Glass lenses came into existence, very late. However, once the customisation phase set in, the development was fast and the evolution continues to gain momentum. Coming of customisation in the domain of lens technology has empowered the optician to dispense better and at the same time, this customisation has also helped the end-user avail better solutions to his or her vision problems. Today, the advent of lens technology has led to a situation where the optician is able to cater to the specific needs of the customer. However, the big advantage of the evolution of lens technology is that it helps in providing more customisation to the end user. Customisation is the key to ensuring a happy customer and guaranteeing a repeat purchase. Every individual’s eye has a unique structure, according the vision correction demands will also be different. The generic category of lenses may not be able to address these needs correctly. However, customisation has paved the way for an improved quality and performance of optical instruments. For the lens manufacturers, customisation has created a platform that allows them to differentiate their products in a better way. When it comes customisation, there are plenty of technologies available today. These include the likes of Freeform technology, Trivex and a whole lot more including the customisation by leading brands like Essilor, Zeiss, etc. Moving on, let’s talk about the progressive lens customisation. With progressive lenses reducing astigmatism, it is fast emerging as a preferred choice for the wearer. An increasing number of people are preferring progressives over bifocals. The reason for this preference is simple, bifocals have certain limitations and are not able to provide the best possible visual acuity to the end-user. What’s more is that the division on the lens is likely to interfere with the overall seeing experience. Given these problems, progressives come across as a better option, as an increasing number of customers become aware of its benefits. In the traditional set-up, progressive lens makers supplied processing labs with semi finished blanks. Due to this set-up, the front part of the lens was surfaced by the manufacturer and the back part was surfaced by the lab. This left very little room for customisation to suit the wearers needs. Zeiss provides a broad spectrum of progressive lens technologies that are known to facilitate better vision. The lens technology by Zeiss focuses on offering customisation that guarantees accurate vision in natural light as well as at night. Unlike bifocals, progressive lenses provide presbyopic patients with clear vision from distance to near, i. e. also at every intermediate distance.For instance, i.Scription®is a revolutionary method of optical calculation that optimises the standard prescription on the basis of additional information on wavefront aberrations including higher order aberrations. Rodenstock progressive lenses are known to correct myopia, hyperopia and presbyopia at the same time and also gives the wearer clear vision at all intermediate distances. The lenses are made in such a way that there is no visible edge in the lens. This gives the wearer decisive benefits. For instance, visual comfort is considerably higher and the glasses provide an unimpeded view of the eyes. Rodenstock Eye Lens Technology sets standards here in connection with the best compatibility, excellent visual comfort and visual acuity. The patient exploits 100 % of vision potential which is clearly noticeable at dusk. Rodenstock progressive lenses are good for high correction values. They are lightweight and thin and due to these characteristics, they are very popular amongst the opticians. Way back in 1959, Essilor made a breakthrough with Varilux lens. Essilor has continued to innovate and set new standards of performance in vision care for presbyopic patients. Varilux lenses continue to be among the preferred progressive lens by eye care professionals around the world. The characteristic features of the Varilux technology guarantees smooth transition of the eye effortlessly and naturally from the near vision zone to the intermediate vision zone and even far vision. The lens technology has further evolved to include more customisation in terms of lens colours, designs, frames and various other categories. Hoya was established in 1941 as Japan’s first specialty manufacturer of optical glass. They introduced their line of the first progressive lenses to be customized on both the front and back sides. In recent years, Hoya has carried out a great deal of research into perfecting its progressive lenses. The latest developments concentrate on increasing the stability, especially while moving, and offering crystal clear vision in all directions and at all distances. The best example of progressive lenses customisation is the Hoya’s V+ technology and Hoya’s True Form Technology that has been applied to all its premium progressive lenses. In addition to the ones mentioned above, there are various other lens makers that offer different types of customisation options while manufacturing lenses. Lens customisation is not restricted to progressive lenses. Even single vision lenses come with various customisation options provided by leading manufacturers like Essilor, Hoya, Zeiss and many more. Even photochromic lenses can be customised to meet specific visual demands of end-users. For instance, Rodenstock Tinted lenses provide natural color perception, vision even in glaring or diffused light with increased contrast perception for a better seeing experience. Moving on, the extremely popular polarised lenses also come with customisation options. These are over and above the usual protection that they provide to the eyes which also takes care of protecting them against harmful UV radiation.